Serve ice-cream, jelly or other sweet treats from these charming Dear Zoo dessert bowls, part of a range based on the popular children’s book by Rod Campbell. Created with the full involvement of the author, the range features bold artwork and simple text which will be instantly recognisable to young guests. 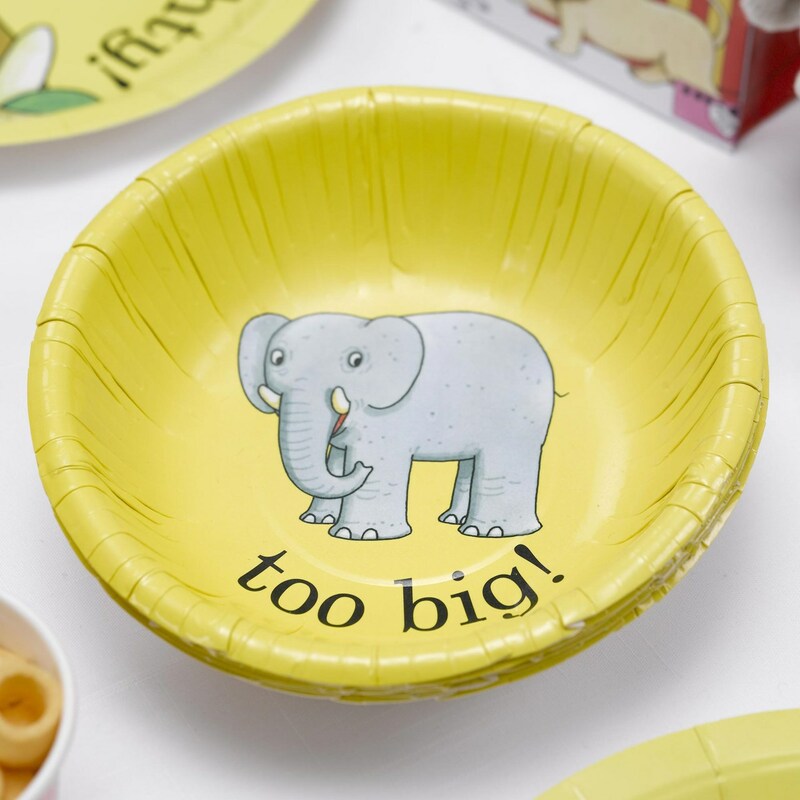 Featuring the ‘too big’ elephant against a sunny yellow background, these vibrant dessert bowls can be used to serve sweet treats or crisps, and can be co-ordinated with other party pieces in the Dear Zoo range. Each pack contains 8 Paper Bowls.